A neighborhood restaurant displays local art work in their dinning room; it's usually a different local artist each month. They will let me display some of my photos in February. I've selected the photos I plan to display and have had test prints made of a few of them. To keep the cost down I'm going to do the mounting myself. I plan to display them on matt board without frames. 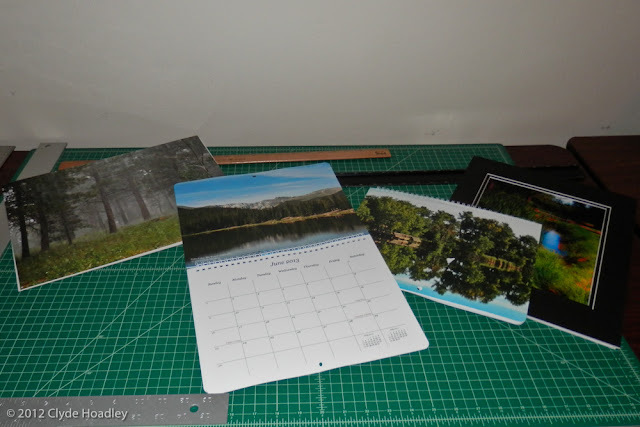 On a whim I had calendars made from the photos. I'm sending one to each of my brothers, sister, Aunt, and have given one to several of my friends. I almost forgot to keep one for myself. The company I used is a little expensive, and there aren't any price breaks for larger quantities. I've found a different company for next time; they have good price breaks, the more you order the cheaper they get, and they offer more print & binding options.